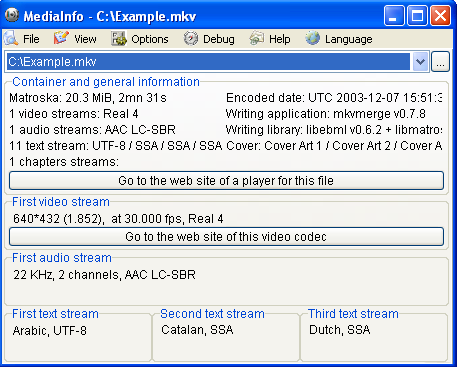 Description: It provides a great deal of technical and tag information from audio/video files. It features many different layouts to display the information, as well as the ability to create custom layouts as well. Can be used to find missing codecs or just to get all the information you'd need from a multimedia file.